Russian is an East Slavic language, which is official in the Russian Federation, Belarus, Kazakhstan and Kyrgyzstan, as well as being widely used throughout Eastern Europe, the Baltic states, the Caucasus and Central Asia. It was the de facto language of the Soviet Union until its dissolution on 25 December 1991. Although nearly three decades have passed since the breakup of the Soviet Union, Russian is used in official capacity or in public life in all the post-Soviet nation-states, as well as in Israel and Mongolia. Romanization of Russian is the process of transliterating the Russian language from the Cyrillic script into the Latin script. National security refers to the security of a nation state, including its citizens, economy, and institutions, and is regarded as a duty of government. The immediate predecessor of the FSB was the Federal Counterintelligence Service (FSK) of Russia, itself a successor to the KGB: on 12 April 1995, Russian president Boris Yeltsin signed a law mandating a reorganization of the FSK, which resulted in the creation of the FSB. In 2003, the FSB's responsibilities were widened by incorporating the previously independent Border Guard Service and a major part of the abolished Federal Agency of Government Communication and Information (FAPSI). The three major structural successor components of the former KGB that remain administratively independent of the FSB are the Foreign Intelligence Service (SVR), the State Guards (FSO), and the Main Directorate of Special Programs of the President of the Russian Federation. The FSK was a state security organization, initially of the USSR, and, after its dissolution, of the Russian Federation. The FSK was the successor organization to the KGB. It existed from 1991 to 1995, when it was reorganized into the FSB. The KGB, translated in English as Committee for State Security, was the main security agency for the Soviet Union from 1954 until its break-up in 1991. As a direct successor of preceding agencies such as Cheka, NKGB, NKVD and MGB, the committee was attached to the Council of Ministers. It was the chief government agency of "union-republican jurisdiction", acting as internal security, intelligence and secret police. Similar agencies were constituted in each of the republics of the Soviet Union aside from Russia, and consisted of many ministries, state committees and state commissions. Boris Nikolayevich Yeltsin was a Soviet and Russian politician and the first President of the Russian Federation, serving from 1991 to 1999. Originally a supporter of Mikhail Gorbachev, Yeltsin emerged under the perestroika reforms as one of Gorbachev's most powerful political opponents. During the late 1980s, Yeltsin had been a candidate member of the Politburo, and in late 1987 tendered a letter of resignation in protest, making him the first ever Politburo member to resign. This act branded Yeltsin as a rebel and led to his rise in popularity as an anti-establishment figure. Under Russian federal law, the FSB is a military service just like the armed forces, the MVD, the FSO, the SVR, the FSKN, Main Directorate for Drugs Control and EMERCOM's civil defence, but its commissioned officers do not usually wear military uniforms. Military service is service by an individual or group in an army or other militia, whether as a chosen job (volunteer) or as a result of an involuntary draft (conscription). The Ministry of Internal Affairs of the Russian Federation is the interior ministry of Russia. Emperor Alexander I of Russia founded its predecessor in 1802 in Imperial Russia. The Ministry has its headquarters in Moscow. The Federal Protective Service (FSO) is a federal government agency concerned with the tasks related to the protection of several high-ranking state officials, mandated by the relevant law, including the President of Russia, as well as certain federal properties. It traces its origin to the USSR's Ninth Chief Directorate of the KGB and later Presidential Security Service (SBP) led by KGB general Alexander Korzhakov. Counterintelligence is an activity aimed at protecting an agency's intelligence program against an opposition's intelligence service. It likewise refers to information gathered and activities conducted to counter espionage, other intelligence activities, sabotage, or assassinations conducted for or on behalf of foreign powers, organizations or persons, international terrorist activities, sometimes including personnel, physical, document, or communications security programs. Organized crime is a category of transnational, national, or local groupings of highly centralized enterprises run by criminals who intend to engage in illegal activity, most commonly for profit. Some criminal organizations, such as terrorist groups, are politically motivated. Sometimes criminal organizations force people to do business with them, such as when a gang extorts money from shopkeepers for "protection". Gangs may become disciplined enough to be considered organized. A criminal organization or gang can also be referred to as a mafia, mob, or crime syndicate; the network, subculture and community of criminals may be referred to as the underworld. European sociologists define the mafia as a type of organized crime group that specializes in the supply of extra-legal protection and quasi law enforcement. Gambetta's classic work on the Sicilian Mafia generates an economic study of the mafia, which exerts great influence on studies of the Russian Mafia, the Chinese Mafia, Hong Kong Triads and the Japanese Yakuza. Terrorism is, in the broadest sense, the use of intentionally indiscriminate violence as a means to create terror among masses of people; or fear to achieve a religious or political aim. It is used in this regard primarily to refer to violence during peacetime or in war against non-combatants. The terms "terrorist" and "terrorism" originated during the French Revolution of the late 18th century but gained mainstream popularity in the 1970s in news reports and books covering the conflicts in Northern Ireland, the Basque Country and Palestine. 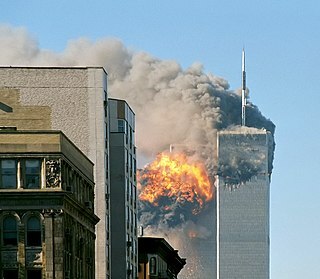 The increased use of suicide attacks from the 1980s onwards was typified by the September 11 attacks in New York City and Washington, D.C. in 2001. Under Article 32 of the Federal Constitutional Law On the Government of the Russian Federation,  The FSB answers directly to the RF president and the Director of FSB, while a member of the RF government which is headed by the Chairman of Government, reports to the president only; the Director also, ex officio, is a permanent member of the Security Council of Russia presided over by the president and chairman of the National Anti-terrorism Committee [ ru ] of Russia. The President of Russia, officially the President of the Russian Federation, is the head of state of the Russian Federation, as well as holder of the highest office in Russia and commander-in-chief of the Russian Armed Forces. The Chairman of the Government of the Russian Federation, colloquially referred to as the Prime Minister is the head of the Russian government and the second most powerful figure of the Russian Federation. The official residence of the prime minister is Gorki-9 in Odintsovsky District, Moscow Oblast, but his working residence is in Moscow. Under Article 24 of the Federal Constitutional Law 'On the Government of the Russian Federation', the prime minister "heads the Government of the Russian Federation". The Russian Prime Minister is considered the second highest position in the government, after the President. The Security Council of the Russian Federation is a consultative body of the Russian President that works out the President's decisions on national security affairs. Composed of key ministers and agency heads and chaired by the President of Russia, the SCRF was established to be a forum for coordinating and integrating national security policy. It is the successor of the Security Council of the USSR. 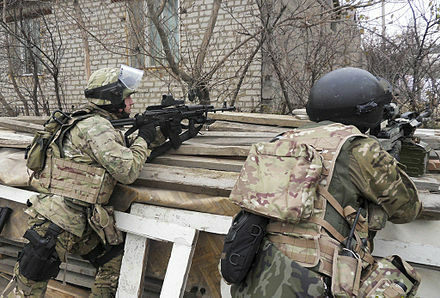 FSB special forces members during a special operation in Makhachkala, as a result of which "one fighter was killed and two terrorist attacks prevented" in 2010. FSB officers on the scene of the Domodedovo International Airport bombing in 2011. Combating terrorism is one of the main tasks of the agency. Economic Security Service (Department) – chiefs: Alexander Bortnikov (since 2 March 2004), Yury Zaostrovtsev (January 2000 – March 2004), Viktor Ivanov (April 1999 – January 2000), Nikolay Patrushev (1998 – April 1999), Alexander Grigoryev (28 August – 1 October 1998). Besides the services (departments) and directorates of the federal office, the territorial directorates of FSB in the federal subjects are also subordinate to it. Of these, St. Petersburg and Leningrad Oblast Directorate of FSB and its predecessors (historically covering both Leningrad/Saint Petersburg and Leningrad Oblast) have played especially important roles in the history of this organization, as many of the officers of the Directorate, including Vladimir Putin and Nikolay Patrushev, later assumed important positions within the federal FSB office or other government bodies. After the last Chief of the Soviet time, Anatoly Kurkov, the St. Petersburg and Leningrad Oblast Directorate were led by Sergei Stepashin (29 November 1991 – 1992), Viktor Cherkesov (1992 –1998), Alexander Grigoryev (1 October 1998 – 5 January 2001), Sergei Smirnov (5 January 2001 – June 2003), Alexander Bortnikov (June 2003 – March 2004) and Yury Ignashchenkov (since March 2004). On 20 June 1996, Boris Yeltsin fired Director of FSB Mikhail Barsukov and appointed Nikolay Kovalyov as acting Director and later Director of the FSB. Aleksandr Bortnikov took over on 12 May 2008. 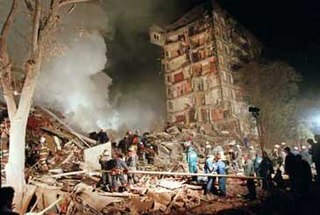 The Russian apartment bombings were a series of explosions that hit four apartment blocks in the Russian cities of Buynaksk, Moscow and Volgodonsk between 4 and 16 September 1999, killing 367 people and injuring more than 1,000, spreading a wave of fear across the country. To date, no one has taken responsibility for the bombings; the Russian government blamed Chechen militants, although they, along with Chechen president Aslan Maskhadov, denied responsibility. The bombings, together with the Dagestan War, led the country into the Second Chechen War. Then-Prime Minister Vladimir Putin's handling of the crisis boosted his popularity and helped him attain the presidency within a few months. Sergei Borisovich Ivanov is a Russian senior official and politician who is the Special Representative of the President of the Russian Federation on the Issues of Environmental Activities, Environment and Transport since 12 August 2016. The Foreign Intelligence Service of the Russian Federation or SVR RF is Russia's external intelligence agency, focusing mainly on civilian affairs. The SVR RF succeeded the First Chief Directorate (PGU) of the KGB in December 1991. The SVR has its headquarters in the Yasenevo District of Moscow. Nikolai Platonovich Patrushev is a Russian politician and security and intelligence officer. He served as Director of the Russian Federal Security Service (FSB), which is the main successor organization to the Soviet KGB, from 1999 to 2008, and he has been Secretary of the Security Council of Russia since 2008. FAPSI or Federal Agency of Government Communications and Information (FAGCI) was a Russian government agency, which was responsible for signal intelligence and security of governmental communications. Mikhail Ivanovich Trepashkin is a Moscow attorney and former Federal Security Service (FSB) colonel who was invited by MP Sergei Kovalev to assist in an independent inquiry of the Russian apartment bombings in September 1999 that followed the Dagestan war and were one of the causes of the Second Chechen War. During his investigation he was arrested by the FSB and convicted to four years of imprisonment for "revealing state secrets". The Border Service of the Federal Security Service of the Russian Federation is a branch of Federal Security Service of Russia tasked with patrol of the Russian border. Alexander Valterovich Litvinenko was a British naturalised Russian defector and former officer of the Russian FSB secret service who specialised in tackling organised crime. 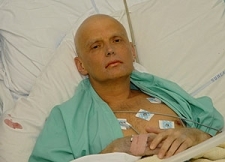 According to US diplomats, Litvinenko coined the phrase Mafia state. In November 1998, Litvinenko and several other FSB officers publicly accused their superiors of ordering the assassination of the Russian tycoon and oligarch Boris Berezovsky. Litvinenko was arrested the following March on charges of exceeding the authority of his position. He was acquitted in November 1999 but re-arrested before the charges were again dismissed in 2000. He fled with his family to London and was granted asylum in the United Kingdom, where he worked as a journalist, writer and consultant for the British intelligence services. Sergei Yushenkov was a liberal Russian politician known for his campaigning for democracy, rapid free market economic reforms, and higher human rights standards in Russia. He was assassinated on 17 April 2003, just hours after registering his political party to participate in the December 2003 parliamentary elections. Anatoly Vasilyevich Trofimov was a head of the Soviet KGB investigation department. He personally supervised all Soviet dissident cases including Sergei Kovalyov, Gleb Yakunin, Alexei Smirnov, and Yuri Orlov. He was later a deputy director of the Russian Federal Security Service and became a mentor and supervisor of Alexander Litvinenko. He was assassinated in April 2005 by unidentified gunmen in Moscow. 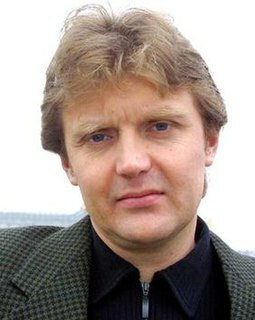 Alexander Litvinenko was a former officer of the Russian Federal Security Service (FSB) and KGB, who fled from court prosecution in Russia and received political asylum in the United Kingdom. Alexander Vasilyevich Bortnikov is a Russian official. He has been Director of the FSB since May 12, 2008. Viktor Vasilyevich Cherkesov is a Russian security services official. German Alexeyevich Ugryumov was a Soviet and Russian navy and security services official. During his childhood he lived in Chelyabinsk Oblast. Lubyanka Criminal Group is a book by Alexander Litvinenko about the alleged transformation of the Russian Security Services into a criminal and terrorist organization. Konstantin Georgiyevich Preobrazhenskiy is a former KGB lieutenant colonel, an intelligence expert and the author of several books and numerous articles about Russian secret police organizations. The active reserve of the KGB are members of the organization who work undercover "either pretending to assume various jobs or using as cover professions in which they are actually trained". Active reserve KGB officers typically occupied such positions as deputy directors of scientific research or deans responsible for foreign relations in academic institutions of the Soviet Union, although these people were not scientists. 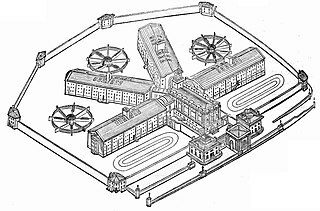 Other officers were trained for certain civilian jobs, usually translators, journalists, telephone engineers, or doormen in hotels that served foreigners. Counterintelligence state is a state where the state security service penetrates and permeates all societal institutions, including the military. The term has been applied by historians and political commentators to the former Soviet Union, the former German Democratic Republic, Cuba after the 1959 revolution, Iraq under Saddam Hussein, post-Soviet Russia under Vladimir Putin and the United States of America, especially after the Global surveillance disclosures. Mikhail Ivanovich Barsukov is a former Russian intelligence and government official. His most notable post was as the short-lived head of the Federal Security Service of the Russian Federation (FSB) in mid-1990s. The Special Communications and Information Service of the Federal Protective Service of the Russian Federation is a cryptologic intelligence agency of The Federal Protective Service of Russia responsible for the collection and analysis of foreign communications and foreign signals intelligence, as well as protecting Russian government communications and information systems,which involves information security and cryptanalysis/cryptography. It is the equivalent to the United States National Security Agency. 1 2 3 4 Sakwa, Richard. Russian Politics and Society (4th ed.). p. 98. ↑ "Федеральный конституционный закон "О Правительстве Российской Федерации". kremlin.ru. 17 December 1997. Archived from the original on 17 August 2009. ↑ THE MILITARY AND THE AUGUST 1991 COUP Archived 10 January 2009 at the Wayback Machine McNair Paper 34, The Russian Military's Role in Politics, January 1995. ↑ Gevorkian, Natalia (January 1993). The KGB: "They still need us". Bulletin of the Atomic Scientists. pp. 36–39. 1 2 3 4 5 6 7 8 Schneider, Eberhard. "The Russian Federal Security Service under President Putin". In Stephen White. Politics and the Ruling Group in Putin's Russia. ↑ ФЕДЕРАЛЬНЫЙ ЗАКОН О ФЕДЕРАЛЬНОЙ СЛУЖБЕ БЕЗОПАСНОСТИ Russian Federation Federal Law No. 40-FZ. Adopted by the State Duma 22 February 1995. ↑ Mark Tran. Who is Vladimir Putin? Profile: Russia's new prime minister. Guardian Unlimited 9 August 1999. ↑ Baev, Pavel (2005). "Chechnya and the Russian Military". In Richard Sakwa. Chechnya: From Past to Future. Anthem Press. ↑ "Mass Dismissals at the FSB – Kommersant Moscow". Kommersant.com. Archived from the original on 12 May 2011. Retrieved 4 November 2010. ↑ Елена Ъ-Киселева; Николай Ъ-Сергеев; Михаил Ъ-Фишман. "Ъ – Кит и меч". Kommersant.ru. Retrieved 4 November 2010. ↑ Majumdar, Dave (December 19, 2017). "Russia's FSB Will Soon Have Their Very Own Drones". The National Interest . ↑ "Russians claim killing of rebel Basayev, the Beslan butcher". The Independent. 11 July 2006. ↑ "Chechen rebel chief Basayev dies". BBC News. 10 June 2006. ↑ Biberman, Yelena (6 December 2008). "No Place to Be a Terrorist". Russia Profile. Archived from the original on 6 October 2014. ↑ Saradzhyan, Simon (31 March 2010). "Eliminating Terrorists, Not Terror". International Relations and Security Network. ↑ Saradzhyan, Simon (23 December 2010). "Russia's North Caucasus, the Terrorism Revival". International Relations and Security Network. ↑ "Medvedev expands FSB powers". Russia Today. 27 August 2010. 1 2 "Russia Busted 200 Spies Last Year – Medvedev". RIA Novosti. 7 February 2012. ↑ "Russia Convicts Military Officer of Spying For CIA". RIA Novosti. 10 February 2012. ↑ "Case study: Igor Sutiagin". Human Rights Watch. October 2003. Retrieved 4 November 2010. ↑ "AAAS Human Rights Action Network". Shr.aaas.org. Retrieved 4 November 2010. ↑ "Grigory Pasko site". Index.org.ru. Retrieved 4 November 2010. ↑ "17 particularly dangerous". Rossiyskaya Gazeta (in Russian). 28 July 2006. Retrieved 13 August 2006. ↑ "'Terror' list out; Russia tags two Kuwaiti groups". Arab Times . 13 August 2006. Retrieved 13 August 2006. ↑ "Russia names 'terrorist' groups". BBC News. 28 July 2006. Retrieved 13 August 2006. ↑ Finn, Peter (15 January 2007). "In Russia, A Secretive Force Widens". The Washington Post. Retrieved 28 June 2015. ↑ Putin Calls On FSB To Modernize Border Guards by Victor Yasmann for Radio Free Europe, December 2005. ↑ "Status of the State Licensing System of Control over Exports of Nuclear Materials, Dual-use Commodities and Technologies in Russia: Manual for foreign associates in Russia", International Business Relations Corporation, Department of Nuclear Energy and Nuclear Fuel Cycle (Moscow, 2002). 1 2 3 "Russian spy agency targeting western diplomats", Guardian, 23 September 2011. ↑ "MCLAREN INDEPENDENT INVESTIGATION REPORT - PART I". World Anti-Doping Agency. 18 July 2016. Retrieved 25 November 2017. ↑ "MCLAREN INDEPENDENT INVESTIGATION REPORT - PART II". wada-ama.org. 9 December 2016. ↑ Ruiz, Rebecca R. (9 December 2016). "Russia's Doping Program Laid Bare by Extensive Evidence in Report". The New York Times. ↑ Ostlere, Lawrence (9 December 2016). "McLaren report: more than 1,000 Russian athletes involved in doping conspiracy". The Guardian. ↑ Ellingworth, James (13 December 2016). "Emails show how Russian officials covered up mass doping". Associated Press . Archived from the original on 14 December 2016. ↑ "FACT SHEET: Actions in Response to Russian Malicious Cyber Activity and Harassment". White House . Retrieved 31 December 2016. ↑ Taylor, Adam (19 September 2017). "WikiLeaks releases files that appear to offer details of Russian surveillance system". The Washington Post . Retrieved 21 October 2017. ↑ "The making of a neo-KGB state". The Economist. 23 August 2007. Retrieved 18 July 2013. ↑ "Crimea: Persecution of Crimean Tatars Intensifies | Human Rights Watch". ↑ "Russian Terrorism Suspects Allege Torture At 'Secret' FSB Site". ↑ ""You should understand: FSB officers always get their way! ": Anti-fascist Viktor Filinkov reveals how he was tortured by Russian security services | openDemocracy". ↑ "Crimean Tatar Close To Dzhemilev Says He Was Tortured By Russian FSB". ↑ "Предприниматель, бежавший из России, рассказал как ФСБ у него "отжимала" бизнес". tvrain.ru. Retrieved 2015-07-19. ↑ Волчек, Дмитрий. ФСБ контролирует буквально все. Радио Свобода (in Russian). Retrieved 2015-07-19. ↑ Who was Alexander Litvinenko BBC, 13 December 2012. ↑ "David Satter – House Committee on Foreign Affairs" (PDF). Archived from the original (PDF) on 27 September 2011. Retrieved 2012-01-29. ↑ Evangelista, Matthew (2002). The Chechen Wars: Will Russia Go the Way of the Soviet Union?. Brookings Institution Press. ISBN 978-0-8157-2499-5. , p. 81. ↑ Did Putin's Agents Plant the Bombs?, Jamie Dettmer, Insight on the News, 17 April 2000. ↑ Harding, Luke (2011). Mafia State. London: Guardian Books. ISBN 978-0852-65247-3. Wikimedia Commons has media related to Federal Security Service of the Russian Federation .